After teasing fans with a string of hit singles, the date is finally set for 2NE1's second mini-album. K-pop's fiercest girl group keeps things hot with the title song UGLY and the Hate You. The mini-album also has the girls' previously released singles including Lonely, Park Bom's solo Don't Cry, the Yamaha Fiore CF song Don't Stop the Music, and "I Am The Best", which they're currently promoting. 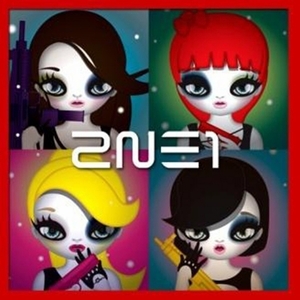 The album features a unique cover with pop art character images of the four members designed by Mari Kim. This edition comes with a Mari Kim illustration booklet. First Press comes with a YG Family Card; only while supplies last.